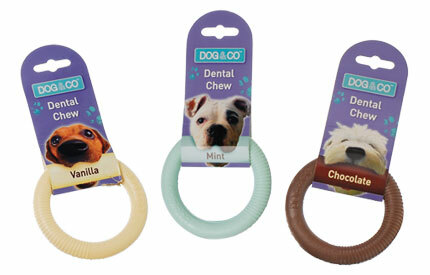 Small Flavoured Dental Chew Ring Dog Toy. 100% Nylon - Longer lasting. Available in chocolate, Mint and Vanilla.